This year marks the 350th Anniversary of the death of Pope Alexander VII and architect Francesco Borromini, both important figures of the Baroque period. Alexander VII, born Fabio Chigi in 1599 and elected pope in 1655, was a great admirer of the work of Gianlorenzo Bernini, a contemporary and great competitor of Borromini. Fabio Chigi was a Pope who had very little interest in politics, but was passionate about art. The twelve years of his pontificate were entirely dedicated to the baroque transformation of Rome. 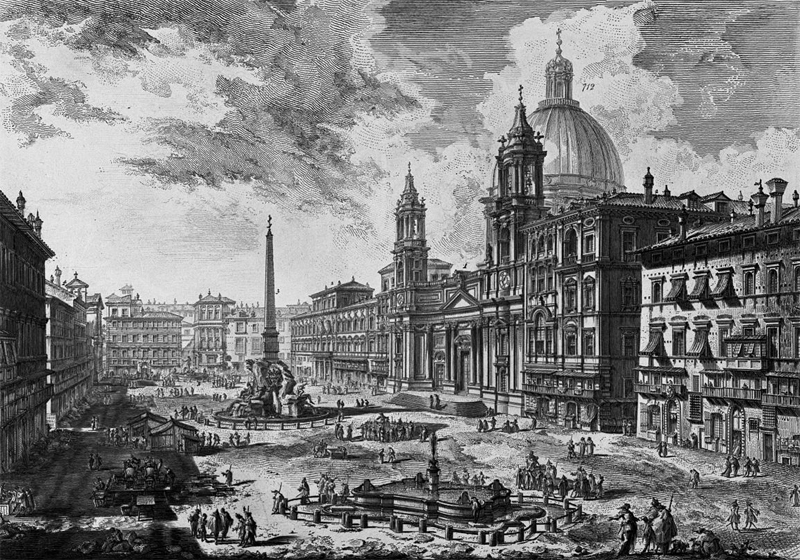 Concentrating more on grand public works than private ones, he commissioned great architectural works, including the colonnade of Saint Peter’s Square, created by Bernini. Although the same age as Alexander VII and an artist of undisputed genius, Borromini never had the pope’s attention. He worked for the most part on commissions given to him by his predecessor, Pope Innocent X, who had him transform the Basilica of Saint John Lateran, and build the Church of Sant’Agnese in Agone in Piazza Navona. The frustration he suffered with the success of his rival and disagreements that came up with Innocent X during the completion of this last project pushed him to commit suicide.The first value of the postage stamp series, designed by Marco Ventura, depicts a half bust of Alexander VII against the background of the colonnade of Saint Peter’s Square. The design also features the Pope’s coat of arms appearing on one of the portals giving access to the colonnade. 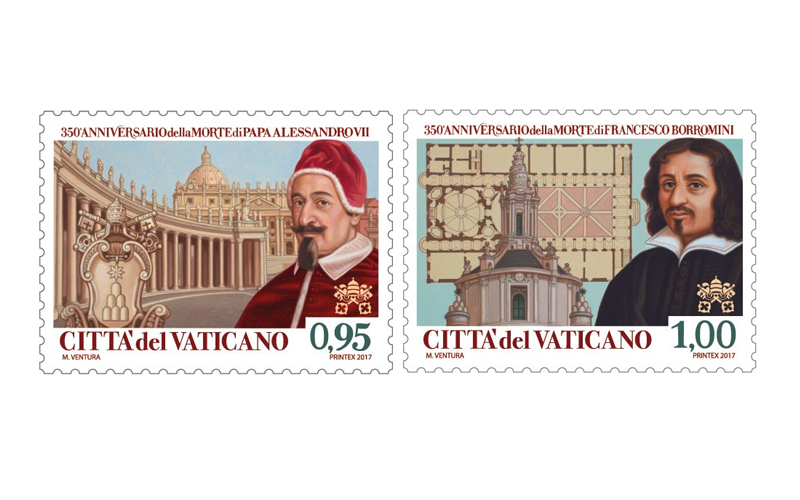 The second stamp in the series shows Francesco Borromini and in the background the dome and a map of the Church of Sant’Ivo alla Sapienza that he completed between 1652 and 1672.